Whether you’re looking for a job or not, you’ve probably been encouraged to “network, network, network!” more times than you can count. Are all those conferences and events you’re attending leading to new connections or opportunities? No? You’re not the only one. 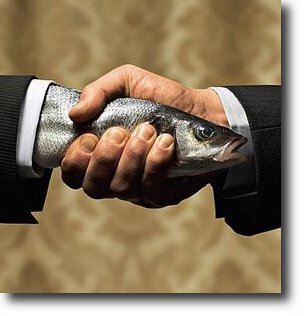 Many networking newbies have tendencies that actually inhibit building real relationships with their new contacts. The good news: it’s not that hard to fix. Here’s what you might not even realize you’re doing wrong—and what to do about it. You’re talented! Eager! Ambitious! You have lots of ideas to share! And you want to make sure that every person you meet at the event knows who you are and what you do! We get it. And yes, sharing your story with new contacts is important. But sharing your life story is overkill: Nothing can set a person off more than an aspiring professional who takes no interest in anything beside her own ambitions. The Fix: Take Some Interest. Stop highlighting your latest accomplishment and start listening instead. Find people with industries or careers of interest to you, and ask them questions: How did they get their start? What do they love about their jobs, and what do they wish they could change? By taking an interest in your contact, you will make her feel valued—and hopefully interested in continuing the relationship. And you’ll likely gain some new insights, too. You’re looking for a new job, so you hit the circuit of industry events every week, asking every person you meet to help you find your new gig—after all, it’s not what you know, it’s who. Well, yes. But give people some credit: If you pursue networking opportunities purely for the job prospects, your contacts will figure you out. You will leave them feeling used, and they will be less likely to recommend you for an opportunity. The Fix: Provide Some Value. If you’re looking for a job, don’t ask for it—work for it. Do some research into what your contact does both in and out of work and find ways that you can contribute your time or support. Perhaps you could volunteer your expertise in social media for the big convention she’s heading up, or offer your accounting knowledge for her non-profit. Provide some opportunity for contacts to see you in a working light, and you’ll be that much closer to a good referral. You attended a large event last week and grabbed coffee with one of your new professional contacts afterward. And then—the week got busy, and you didn’t get around to saying thank you. She’ll understand, right? Maybe. But if you don’t show gratitude, even in the smallest (or largest) event, you risk leaving a negative impression—probably not the desired outcome of your meeting. The Fix: Just Do It. Whether you pack notecards in your purse for post-meeting scribbles, set yourself a reminder on Gmail to send off a quick note, or just insert a quick “thanks for taking time to meet with me!” at the final handshake, you must say thank you. Not only will you solidify your reputation as a courteous individual, but you won’t be leaving your contacts with a bad taste in their mouths. Always say thank you, and your good impression will last until your next meeting. You meet someone over a networking happy hour and tell her you’ll send her your portfolio. But as the night goes on, she has a few drinks and meets a few dozen more people. You’re sure she’s forgotten all about you, so you decide it’s not even worth emailing her the next day. Bad idea. Meeting someone is just the first step in networking. In order to forge a lasting relationship (and make sure people don’t forget you), you need to follow up, every single time. The Fix: Stay Accountable. If you told a networking contact that you would do something, do it. Even if you’re not sure she remembers you, you can bet that she will be grateful that you took the time out of your day to send her what you had discussed. If you’re worried about forgetting, keep a pen near your business card holder to quickly scribble out what follow-up actions you have for that contact, and review your cards after the event. Above all, keep in mind that networking isn’t about short-term gain, but about learning, growing, and forming connections. Adopt good social habits, and you’ll see your skills and comfort improve, your opportunities increase, and your relationships grow—for the long haul. This article originally appeared on The Daily Museby Diane Kulseth .